From today, a hosepipe ban will be in force across the North West, including Greater Manchester. You can be fined up to £1000 for breaking the ban. This is, we’ve been told, the driest start to the year since records began 74 years ago. Hosepipes can use the same amount of water in an hour as a family of four uses in a day, thus a ban has been introduced to help safeguard supplies for everyone. Please be aware that we won’t be able to use hosepipes or sprinklers until further notice. 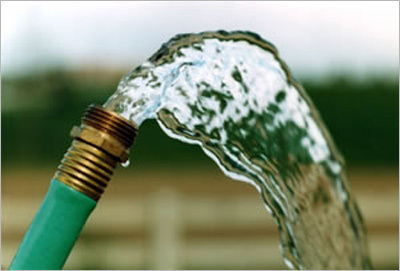 You can still water your garden using a watering can – even better if you re-use bath water. If you want to clean your car, please use a bucket and sponge. Customers who are registered disabled and blue badge holders are exempt from the ban. Here’s a brief update on the water resources situation in the North West, following the introduction of the hosepipe ban last Friday. If you have any questions regarding how United Utilities is managing the region’s water resources, do not hesitate to contact me.